So, Mickey is the official mascot of Disney. He is a an animal cartoon and was created in 1928 by Walt Disney and Ub Iwerks. 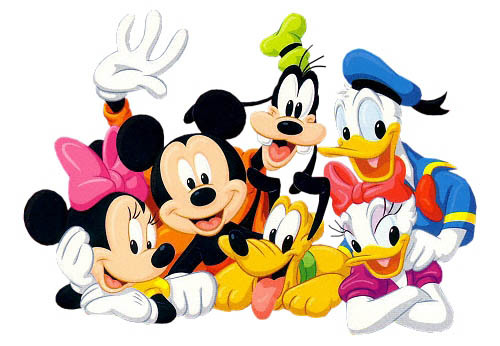 He is part of a gang, along with his girlfriend – Minnie Mouse, his dog – Pluto and his friends – Goofy and Donald Duck with girlfriend, Daisy. The original voice of Mickey is Walt Disney himself, the co-creator of Mickey and founder of the Walt Disney Company! It turns out even more cute – starting from 1977, the voice of Mickey Mouse was Wayne Allwine, who was married in real life to Russi Taylor, the voice of Mickey girlfriend, Minnie Mouse! 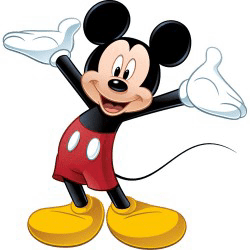 Mickey Mouse is so famous that he’s received ten nominations for the Academy Award for Best Animated Short Film and in November 1978, in honor of his 50th anniversary, Mickey became the first cartoon character to have a star on the Hollywood Walk of Fame.